In this post I want to introduce KVM - Linux's native approach to virtualization. There are many different tools available for building production-grade labs or datacenters and private clouds. The tooling, services and support will vary depending on whether the product targets enterprise, small business or open source. Some other examples of hypervisors or virtual machine software include: Microsoft hyperV, VMWare vSphere/ESXi, bhyve (on FreeNAS/BSD) and hyperkit from Docker (based upon bhyve). This post is going to focus on how to create a cluster of Virtual Machines (VMs) using KVM at home in the interests of promoting learning and exploration. 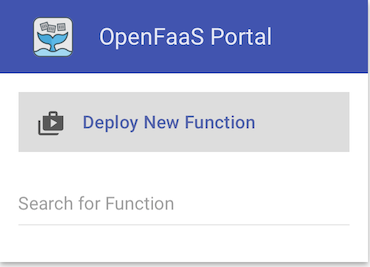 We'll setup two KVM VMs with Ubuntu Linux, then install Kubernetes and launch OpenFaaS on top of Kubernetes. KVM is a hypervisor for Linux, it's not to be confused with a multiplexer for keyboard, video and mouse by the same name. As a Docker Captain and open-source developer I spend time a lot of time working with containers on a day-to-day basis. Sometimes I provision VMs in "the cloud" by clicking a few buttons in a UI or invoking a remote API - but am rarely concerned with the finer grain details such as which hypervisor is being used. Check that kvm can run with kvm-ok - this checks for a new device at /dev/kvm. By default KVM will utilize NAT for networking on your hosts - this means they get outgoing Internet access, but cannot be accessed easily from the rest of your network. Since we are creating a cluster where we want to access services we need to change the networking over to bridged. If you've used VirtualBox or VMWare Fusion you may already be familiar with the terms bridged and NAT for VM networking. Bridged networking lets the VM act as if it were plugged in directly to your network and it will get a DHCP IP address from your router. I'm assuming that you have a home network with a consumer-grade router and that you're working on the 192.168.0.0/24 subnet. Change the IPs where necessary if you're not. Replace eno1 with the name of your Ethernet adapter as shown on ifconfig. Here I've set a dynamic IP for the KVM host, but you could also set a static IP address. The key part is to comment out the auto eno1 lines and add the br0 lines which define the bridge adapter. You should now see a device br0 on ifconfig - it will have an IP address but eno1 will not show one. virsh has all sorts of handy commands and can act as a shell itself. The most useful command is virsh list --all which shows you any running or stopped VMs. A CLI reference guide for virsh is available here. We'll create an Ubuntu VM now using virt-installer. No VNC or remote desktop tooling is required as this runs over a terminal session. This will install Ubuntu Linux over the Internet which means we do not need to fetch an ISO image ahead of time. If you do want to do an offline installation then you can pass the --cdrom flag instead of --location. echo Specify a virtual-machine name. You can adjust any of the parameters here such as the ram or vcpus. You can also target a different path for the disk such as an NFS mount-point if you have a NAS or external drive. The size=30 parameter to --disk specifies Gigabytes. The server edition of Ubuntu Xenial will be picked up from the --location flag. I like to run tmux at this point so that I can disconnect from the installer and come back later, or run multiple installations at the same time. Now follow all the instructions for the Ubuntu command-line installer. Note: sudo is required here, do not ommit it. Kubernetes requires that we turn swap space off. You can optionally set a static IP address for the VM by editing /etc/network/interfaces. Make sure the IP you set matches the subnet for your home network. If you are using the IP range 192.168.0.0/24 then pick an IP address that is unlikely to be allocated to another device on your network such as 192.168.0.200 / 201 etc. Depending on which packages you selected you may also want to install the git and curl packages via apt install. That's it - we now have our first virtual machine with its own IP address on our network. The name of the machine and the disk image should be unique each time you run this. Here we set that via --name and --disk. Run through the installer the same way as we did in 2.0 and then find the IP address and make sure the machine has come up. Make sure you also run sudo swapoff -a and edit /etc/fstab - do not skip any instructions. You now have two options - you can follow my "Instant guide" or if you're experienced with kubeadm you can use the shell steps I list below. We'll now install Kubernetes with my guide: Your instant Kubernetes cluster. You will need to ssh into the master for the kubeadm init step and the worker for the kubeadm join step. Note: for more details on the Kubernetes configuration please read the guide linked above. 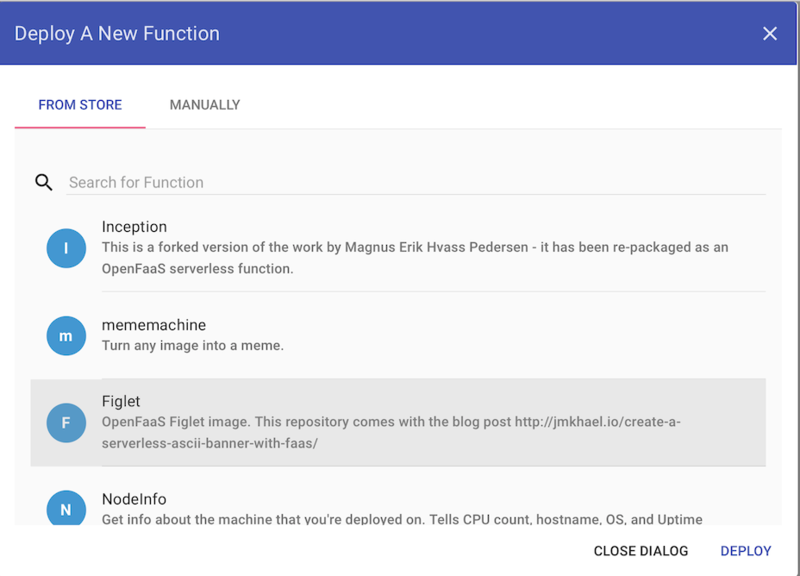 We can now deploy an application - let's deploy OpenFaaS - Serverless Functions Made Simple. It has a built-in UI dashboard and is easy to use. This is just scratching the surface of KVM - there's much more you can do and you can of course install other Operating Systems like CentOS, SuSE Linux and even Windows. When you restart those VMs or power them up next time they'll get a brand new IP address - that will mean you have to run kubeadm again on both nodes. The alternative is to set a static IP address on both nodes. You may be wondering why we did not just clone the first VM as a sort of template. In practice I found that even after changing the machine-id, hostname, ssh host keys etc - Kubernetes did not work right on a cloned machine. Your mileage may vary. There is also a specialist tool for "scrubbing" a cloned Linux VM called virt-sysprep - I found even this tool caused issues. You can manage KVMs via a UI and this is a popular option - especially if you're used to driving a tool at work like vSphere/vCenter from VMWare. Ubuntu offers a graphical tool called virt-manager which gives you an experience similar to the UI in Oracle VirtualBox. We're running a lean, headless server so I didn't want to install X11 and or VNC. Kimchi is a web UI which may be a good compromise between connecting a monitor, installing X11/VNC. Will this run on a Raspberry Pi? I suspect this may be possible, but I don't know and would never recommend doing virtualization on such a low powered device. To create a multi-node RPi cluster see the links below. 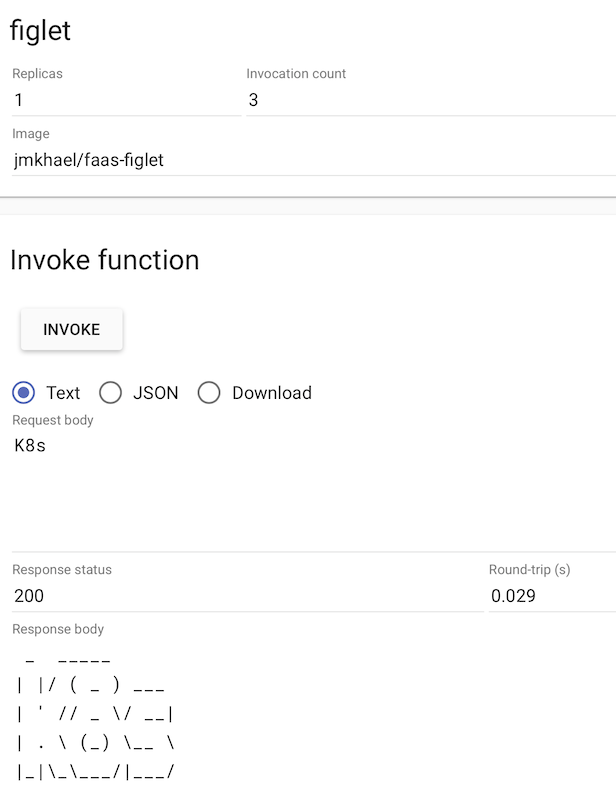 In this blog post I set out to show you how to create and run a Kubernetes cluster on a single host and deploy an application. There are many ways to run Virtual Machines in your home-lab ranging from commercial solutions from VMware to built-in virtualization on Linux with KVM. If you need a cluster fast then public cloud is hard to beat - but for those of you who like to know how things work and to tinker with CLIs I hope this has been a good primer for KVM. Go and experiment and let me know what you've learnt on the blog comments or via Twitter @alexellisuk.